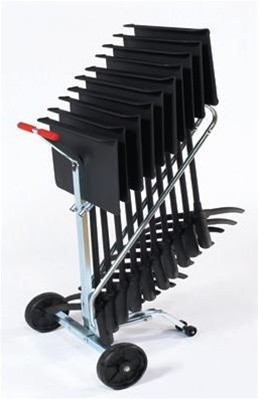 National Public Seating's Music Stand Cart/Dolly- DYMS10 is designed to easily transport and store our 82MS music stands. The DYMS10 holds up to 10 stands boasting a lightweight design. Constructed of zinc-plated heavy duty steel, with soft rubber handle.